Please come in and talk about anything you want! The house is cold despite the heating being fully on, I’ve keep hearing laughter and furniture keeps moving on its own! Throughout my spooky Open Thread editions of October, We’ve discussed Vampires, Werewolves, Mummies and Slashers. But yet I still have four left (well, for this year at and why not do the big one now, Ghosts. But again, please feel free to talk about anything you want. Question of the day 1: What is your favourite Ghost based work? 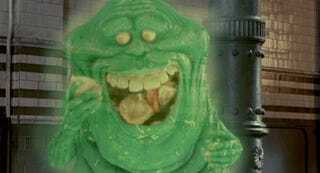 Me, the Real Ghostbusters. Didn’t really grow up with it except for a few episodes, but I rediscovered it on YouTube and loved it. Question of the day 2: If you found yourself being haunted by a ghost in real life. What would you do? Me, move in with family or hotel for a bit and hope it leaves out of sheer boredom. Question of the day 3: Have you booked your tickets for the Force Awakens? Me and my brother have and we are going midday on the 23rd to avoid the crowds.